The airport has long been in the focus of research and writing (Gordon). Might it be through its all-compassing bigness, its profound social, economic, and ecological impact on its surroundings or its technological characteristics, the typology has received ample interest from researchers of different fields of study and been frequently reviewed and critiqued. 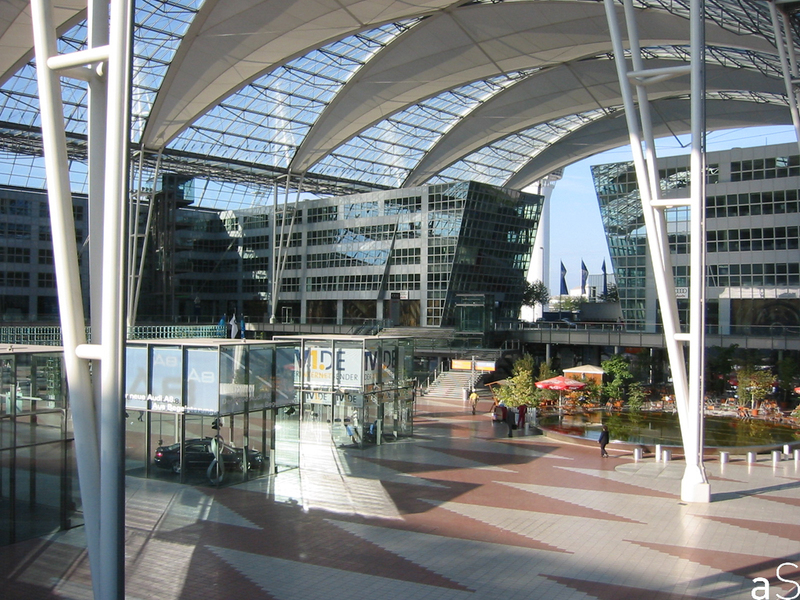 Analyses in architecture have focused on the ever-changing design aspects and morphology of the airport and its short, but enthralling history from barn shed to multifunctional and multimodal global hub (Urry in: Cwerner et al. : 27). Hereby the airport has been portrayed as one of the few design challenges of epic proportion that in its gestalt could epitomize our modern reading of mobility and that could serve as the built incarnation of globalization. While the disciplines of sociology and psychology for example have long embedded the airport into its socio-spatial context, the research focus of architecture evaluated the airport as an isolated entity in which the only appreciated relation to its respective city and hinterland were adequate infrastructural connections. Otherwise the airport remained an isolated, anti-urban, technology-driven design exercise within the airport’s property fence. Only within the last decade, however, the airport has been understood as an urban tool as well able to shape places and its surrounding in a positive way rather than just impacting it negatively. The airports assessment changed: From a necessary, but exiled functionalist apparatus at the city’s outskirts to a nucleus of new urban territories; from a mostly monofunctional entity to a multifunctional, revenue-generating complex organism (Urry in: Cwerner et al. : 27). Maybe the renaissance of railway stations in Europe served as an example of how large infrastructural expanses could be converted to dense city areas and how transportation buildings could drive urban developments. As with railway station, the airport’s business model changed over the last years from one that understands the airport solely serving aeronautical needs to one that recognizes the airport as a provider of services beyond the typical palette of aviation related uses (Kasarda: 24, 57). The formation of private-public partnerships and the privatization of airports starting in the late 1990s strengthened this trend: Airports had to operate on a sound financial basis and the search for additional ways to generate revenue was a catalyst for the airport’s fiscal diversification and expansion plans. Developers started within the airport’s boundaries in this quest and found retail as a suitable and potent candidate to make airports more profitable (Fuller/ Harley: 107). 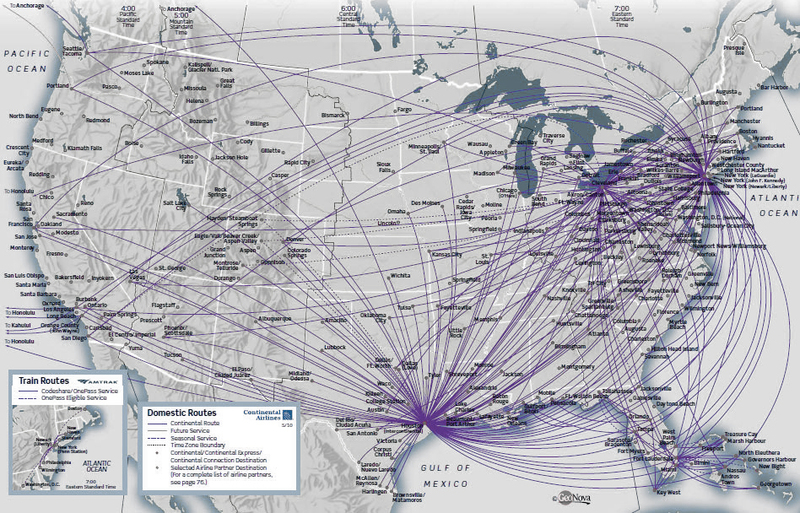 The change in the airlines’ mapping of routes from a pure origin-destination oriented transportation concept to a hub and spoke system in which specific airports become central nodes within the airlines larger route network, changed the way airports functioned. Via these nods that bundle the traffic flows, smaller airports could be connected more economical and with more frequent service to other destinations. The hub and spoke concept enlarged the number of transfer passengers that use the airport not only as a place for departure and arrival, but also for changing planes. The additional time travelers spent in hubs made shopping one of their predominant activities while waiting for connecting flights (Pearman: 10). The airports’ architecture changed accordingly. The trend of broadening existing airport functions or adding functions without direct links to the airport’s core business has since been intensified. Nowadays, airports offer a full range of functions including retail malls, conference facilities, leisure areas, business parks, or sports grounds, often located outside the airport’s property line in adjacent areas. This holistic functional approach has made airports appear like small self-contained cities. While inside the airport fence, the majority of functions is primarily related to the airports functioning, it is important to understand that the airport’s growth outside its fence is mostly related to the advent of the new knowledge economy. Procurement of knowledge had always been a key to economical and technological advancement; knowledge was the key to produce goods. In the nowadays Instant Age, however, the processing, transfer and sharing of knowledge is of paramount importance for many industries since knowledge itself has become an ephemeral, global product. In order to exchange information and knowledge in the knowledge economy in a timely manner, many companies relocated branches of their business in proximity to airports, since face-to-face communication facilitated by frequent flying has remained essential in business despite the internet (Castells 1996: 77; Urry in: Cwerner et al. : 45). The demand of these companies for office and residential quarters near airports has pushed the airport’s internal growth outwards and led to the planning of quarters or full-blown sub-cities outside of the airports property. Some of these schemes have recently been built; others remain in the planning stages. 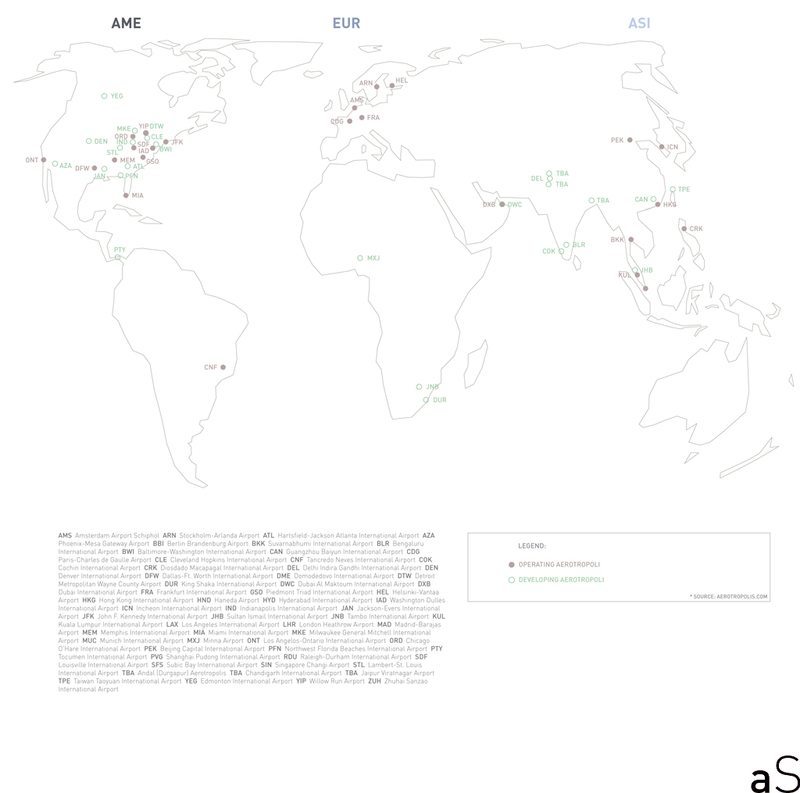 Researchers have coined the novel sub-cities that sprung up around airports with different words. While some of these terms are synonymous, the concepts developed different foci and operate on different spatial scales. The veteran of airport sub-cities is McKinley Conway, a US pilot/engineer/politician that as early as 1978 published a book on what he called airport cities. Conway gives a quite personal (from the view of a pilot), yet concrete and futuristic vision of what an airport city could entail and should be composed of. 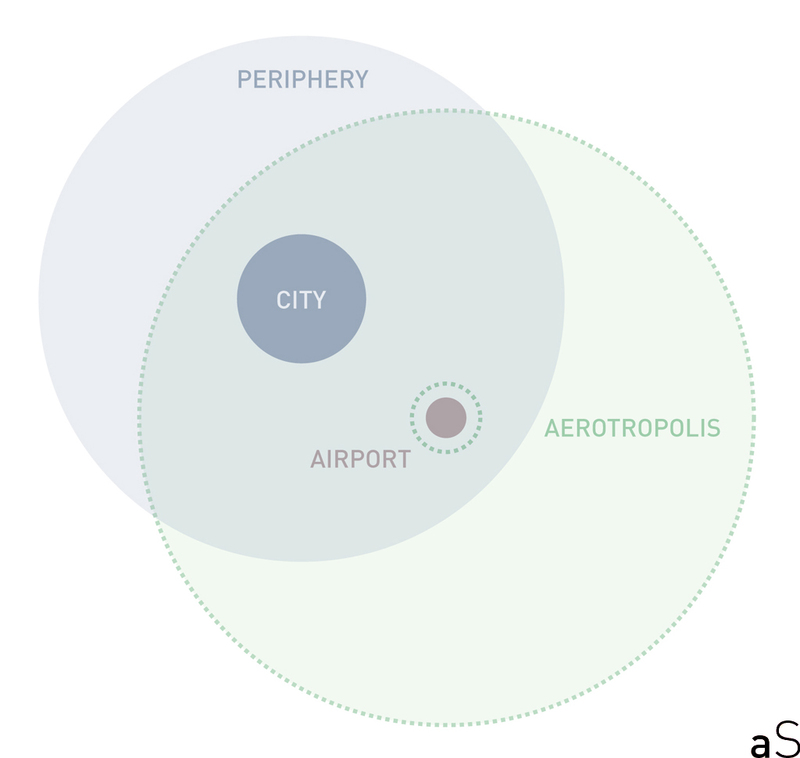 Conway considers airport cities mainly as extensions of the existing typology of airports and advocates airport cities on all levels of scale from international airports to small fly-in communities. While the network character of all these airports as a part of a bigger system is an important aspect for Conway, he does not understand them primarily as drivers of airport developments but rather purely catering to aviation and business needs. Still, his idealized concepts are detailed, encompassing much technological and technical information as well as case studies and detailed blueprints for the concrete layout of airports (Conway: 48,52). The aerotropolis is promulgated by Dr. John D. Kasarda, a professor of economics at the University of North Carolina (originally trained as a sociologist). Kasarda understands the aerotropolis mainly as a concentrically formed construct whose organizational forces are primarily business-related (Kasarda/ Lindsay: 360). He regards the proximity to airports as the single most important consideration to succeed in business and therefore advocates large-scale city developments around existing or future airport developments. Kasarda’s actual urban design and planning ideas are still rudimentary at this stage and follow modern design principles (segregation of function and a focus on easy infrastructural accessibility combined with low-density developments). Clearly his focus is on the economic and social aspects of what aerotropoli should become. Promoting his ideas for almost 20 years, Kasarda is one of the earliest protagonists of airports sub-cities. His ideas prove influential and impacted the business models and design of new airport developments worldwide (Kasarda/ Lindsay: 213). Another significant contribution is Maurits Schaafsma’s airport corridor concept (Schlaak in: Knippenberger/ Wall: 115). Exemplified at Schiphol Airport (Schaafsma is a senior planner for Amsterdam’s airport), the airport corridor is a concrete spatial construct that describes a connecting corridor between an airport and its respective city, here namely Schiphol airport and Amsterdam’s Zuidas, the city’s primary sub office zone south of the city’s center connected to the airport by a central infrastructural spine. In comparison to Kasarda’s vast suburban aerotropolis, the airport corridor is a defined continuous area with a higher density and a greater mix of functions than that of the aerotropolis. Fuller’s and Harley’s aviopolis is less concerned with the actual gestalt of airport sub-cities, but rather its theoretical, social, and psychological underpinnings and effects. 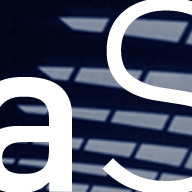 Taking current airports as examples, the aviopolis examines qualitative aspects of airports and travel and examines the processes that take place in airports. Spatially it builds on the concept of airport cities. At last, the airea is a spatial approach by Johanna Schlaak (TU Berlin), which has much in common with my spatial understanding of airport sub-cities. 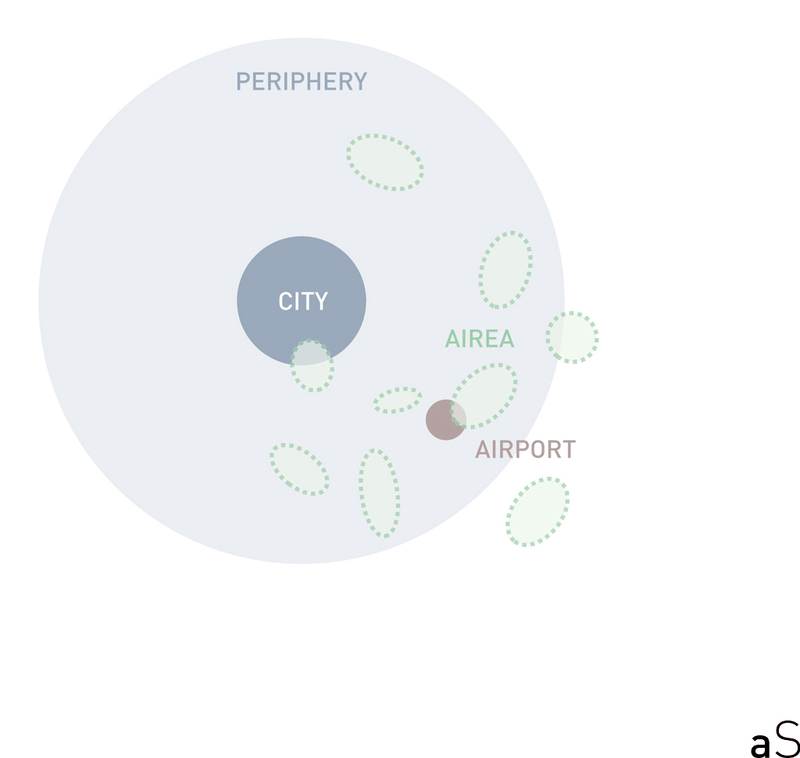 Rather than solely focusing on the airport and its surroundings, the airea represents a matrix of fragmented development islands within a greater metropolitan region that stands in a correlation with the airport (Schlaak in: Knippenberger/ Wall: 117). What sets the airea apart from the other concepts is that it defies a spatial continuity and any form of concentric hierarchy. Important constellations can occur between parts of the airea and the airport despite their large distance from each other. In my view, airports and their sub-cities have to be understood as creations of transient urbanity, the mobility-generated form of metropolitan life. As hotspots of transient urbanity, airports are the built form of transient urbanity. With their infrastructural and economical demands and their push and pull effects, airports create a landscape/cityscape around them that I coin the aeroSCAPE. In line with Schlaak’s airea, the aeroSCAPE is a dispersed network of patches of primarily aviation-related activities (aeromobilities) that are defined by and stand in exchange with the airport. Within the aeroSCAPE, the airport acts as the functional and infrastructural heart. The actual distance of the patches to the airport is not as relevant as the time it takes to reach them, as time is a quintessential factor for aviation and transportation of goods, services, and knowledge in general. As the infrastructural connections of these patches to the airport can improve or also deteriorate over time (the connecting time thus be shortened or lengthened), new patches may become part of the infrastructural tissue of the aeroSCAPE while others diminish in importance or vanish altogether. The shape of the aeroSCAPE is therefore a construct of its own space-time continuum: a geography amorphous in form and changing over time. Whereas Kasarda’s aerotropolis for example suggest a specific (here concentric) functional arrangement with the most important functions near the airport (Kasarda/ Lindsay: 213), the aeroSCAPE’s focus on its temporal unfolding makes specific proximities less important. Characteristic for the patches is a strong relationship (maybe even dependency) with the airport itself. In my understanding, airports and airport sub-city can be seen as one of the many patches that constitute the aeroscape. Others patches could be industrial zones, recreational areas or other infrastructural entities that have a clear relationship with aeromobilities. You should add to your bibliography Nathalie Roseau’s Aerocity, whihc appeared last year and is base don her doctoral dissertation. Very interesting evaluation of the interesection of engineering and culture, from an engineer’s point-of-view.